I like the part when Detective Alligator finally caught the killer. I hope you write more stories. Oh wow Sebastien!!! I never saw that ending coming! What a naughty teacher!!!! I think the most terrifying thing in your story was having a mouse’s underwear being thrown at you – that’s the stuff of nightmares!!!!! 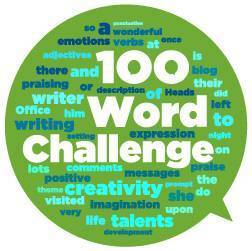 Keep up the good work and well done on writing such a good story for your first 100 Word Challenge!